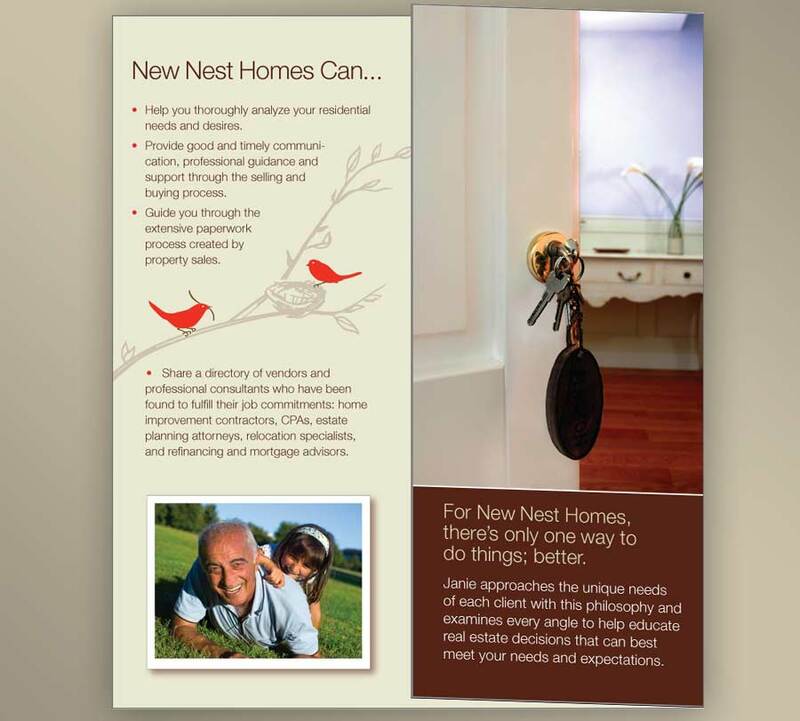 The Challenge: Looking for a fresh look, New Nest Homes needed an identity, brochure design and website design. In an increasingly competitive residential real estate environment, the client wanted something distinctive and unique to help communicate her experience and personalized approach. The Solution: We created a simple, friendly logo design and hand-illustrated birds and branches to complete the identity. We created artwork for business cards, stationary, envelopes and announcements. 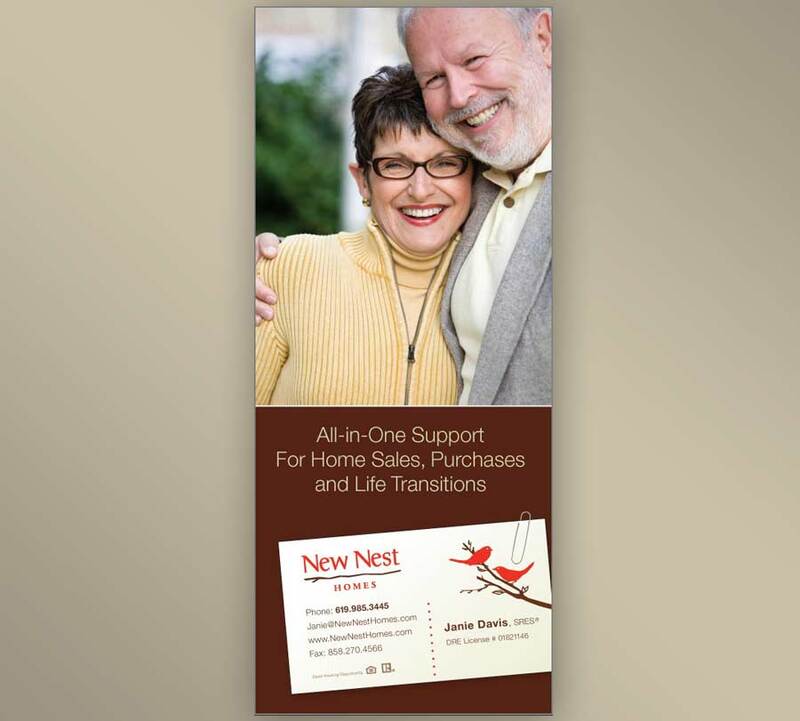 The client selected a high quality local printing vendor and all the pieces turned out great. 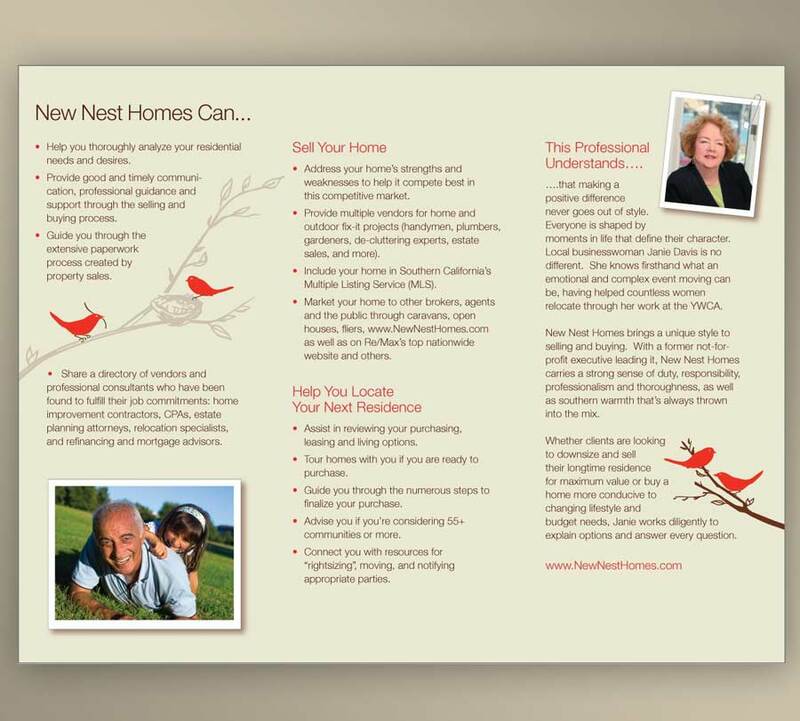 Additional assignments for this client included a colorful tri-fold brochure design and some spot graphics for her website template.